A nobleman from an infamous family, imperial legionary officer, and a born fighter… Captain Ben Stiger captured Castle Vrell and rid it of a minion of a dark god. 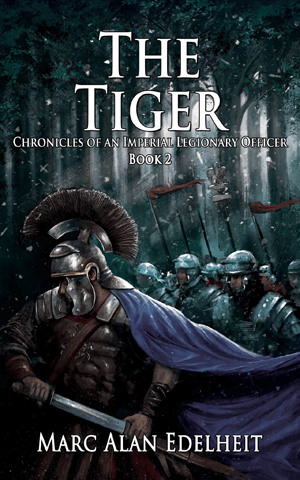 Now he finds himself cut off from the empire with a hostile rebel army marching on the legion’s fortress where they guard the entrance to the Vrell Valley. It is not in Stiger’s nature to simply wait for the enemy. Badly outnumbered and facing odds greater than twenty to one, he sets out to impede the enemy’s advance and show them the steel that the legions are made of. To help him on his way he has the services of his friend, Eli one of the last remaining elven rangers. As if matters could not get worse, an army of dwarves is preparing to retake Castle Vrell, a sacred place they name Grata’Kor.